The organization and the player have reached an agreement for the Latvian buyout and he will not continue his professional career with the team. Davis Bertans is not bond to Baskonia anymore. 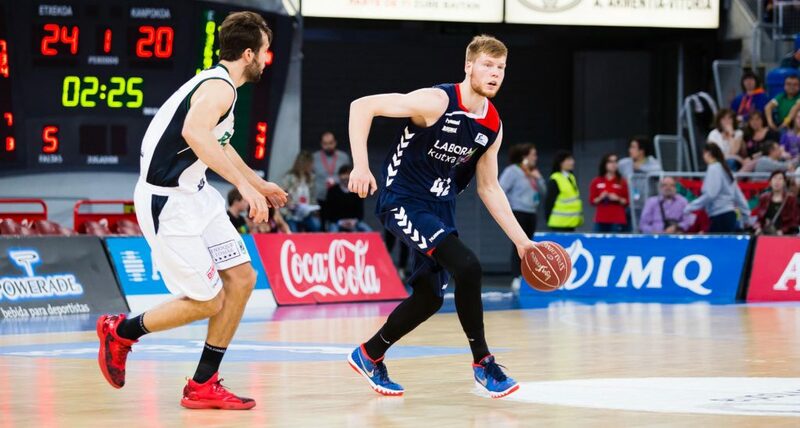 Saski Baskonia and the small-forward have reached an agreement on buyout which means the Latvian will not play for Laboral Kutxa Baskonia next season. Therefore, Bertans ends a two season’s tenure as baskonista influenced by the serious injury he had on his knee in March of last year. It obliged him to lose ten months’ competition. Latvian small-forward, a three-pointer specialist, has played 47 official games in total in Liga Endesa and 37 more in Euroleague. Saski Baskonia expresses Bertan’s preofessionalism and attitude during the period he wore baskonista’s jersey. The organization wishes all the best for his new professional and personal challenges.